Diverticula are small pouches that bulge outward through the colon, or large intestine. If you have these pouches, you have diverticulosis. This condition becomes more common as people age. 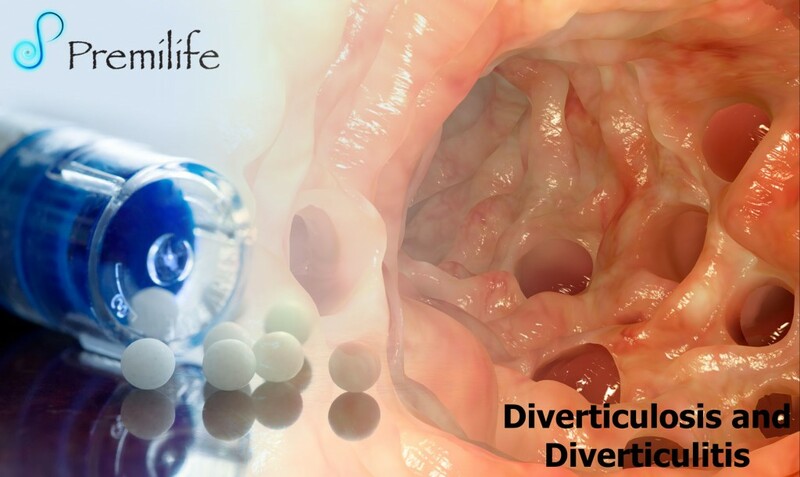 • Diverticula are small pouches that bulge outward through the colon, or large intestine. If you have these pouches, you have diverticulosis. This condition becomes more common as people age. About half of all people over age 60 have it. Doctors believe the main cause is a low-fiber diet. • Most people with diverticulosis don’t have symptoms. Sometimes it causes mild cramps, bloating or constipation. A high-fiber diet and mild pain reliever will often relieve symptoms. • If the pouches become inflamed or infected, you have diverticulitis. The most common symptom is abdominal pain, usually on the left side. If the diverticula are infected, you may also have fever, nausea, vomiting, chills, cramping and constipation. In serious cases, diverticulitis can lead to bleeding tears, or blockages. Treatment focuses on clearing up the infection with antibiotics, resting the colon and preventing future problems. A serious case may require a hospital stay. This entry was posted in Digestive System. Bookmark the permalink.